You can make a difference in the lives of HIV positive children! 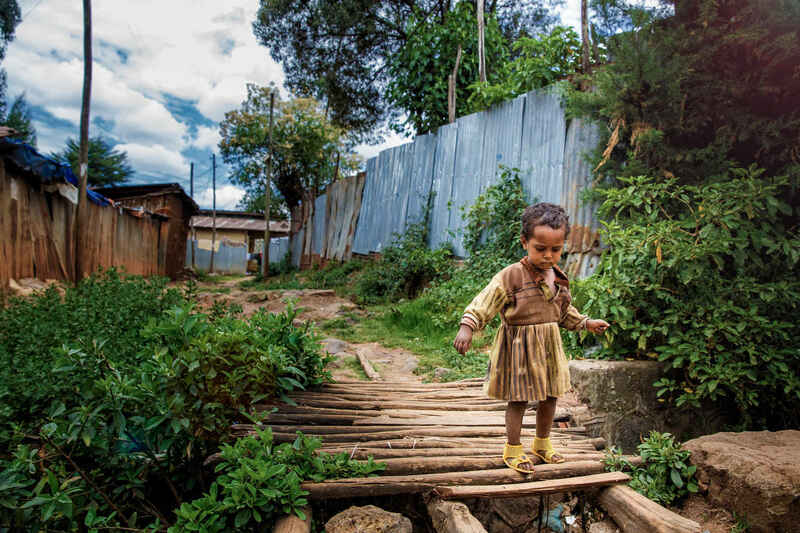 AHOPE is the only orphanage in Ethiopia serving exclusively HIV+ children. When we started as a hospice for these children over 10 years ago, PEPFAR made anti-retroviral medications (ART) available to people in sub-Saharan Africa and gave our children life. The children we support now receive the necessary life saving drugs, education, psycho-social support to lead full lives. Today, we maintain Little AHOPE for our children under age 7. Our older children reside in homes within the community where they are mentored and have the support of a "mother". Our young adults attending high school, university or vocational school and those who have graduated and are working, live in our independent living program. This program teaches our kids how to balance a budget, run a household and remain responsible to their daily activities. Some children at AHOPE get adopted through licensed agencies in Ethiopia. Most do not. Our goal is to reunify or preserve families, and when that can not happen, we raise these children to become independent members of their country. Over the last several years, we have reunified children with aunts and uncles, older siblings and extended family members. We maintain support – both financial and a host of other services to these families. Our Community Development Program preserves families. Simply, we keep families from having to relinquish their children to orphanages. By assessing needs of family, we provide educational, medical and economic support to these families. Additionally, our Family Preservation and Economic Strengthening Program creates sustainable security by providing micro loans and business training to each qualifying family unit. Our family businesses range from Craft Work (embroidery, tailoring, shoe repair, weaving and pottery making) to Sales (spices, fruits & vegetables, clothing, enjera and kollo - rolled barley) to one family owning a cafe within their community. In support of an amazing organization. Please see that Biruk Sitotaw receives this money as a graduation gift. We are so proud of him and the progress he's made. We wish him all the best! I want to help out kids that need more help then others. I am part Ethiopian but was brought up by my English mother in the UK with a good welfare system compared to Ethiopia. Thank you for allowing us to have you as a beneficiary for our Habesha Night Charity Event at UT Dallas!